So I remember a fellow blogger saying she's fast running out of poses. Isn't everyone? Here's the (short) story behind the poses of this outfit. Firstly, I looked down and did the sidekick (the pose above) which is fast becoming my signature pose. At a loss, I crossed my legs then held my glasses and looked to the sun. It felt sort of weird given the shape of the dress but I went with it anyway. I interrupt this mildly interesting story to give the outfit details. I then uncrossed my legs and looked down (while still holding the glasses) doing some kinda leaning forward motion (as opposed the usual lean-back). Did I mention while all this was happening, my cousin and I alerted one another when a car was coming in our direction? We were in the middle of the road and the double parking was making it difficult for cars to pass. So it was basically run, pose, snap, repeat. It's a wrap ladies and (hopefully) gentlemen. Did you like this story? Be honest, I won't mind (much) if you say no :). How would you have worn/styled this crinkled green shirtdress? Thanks! Nice to see you here! Love the way you come off when you write.. Very fun. absolutely loving your dress! Such easy, breezy, chic style, you look great! Says the person with killer poses! But you have a solid point. Hey Buiti!! Long time no see! lool loved reading your story! Don't we all need new poses? We all need new poses. Love the story. I struggle with poses too. 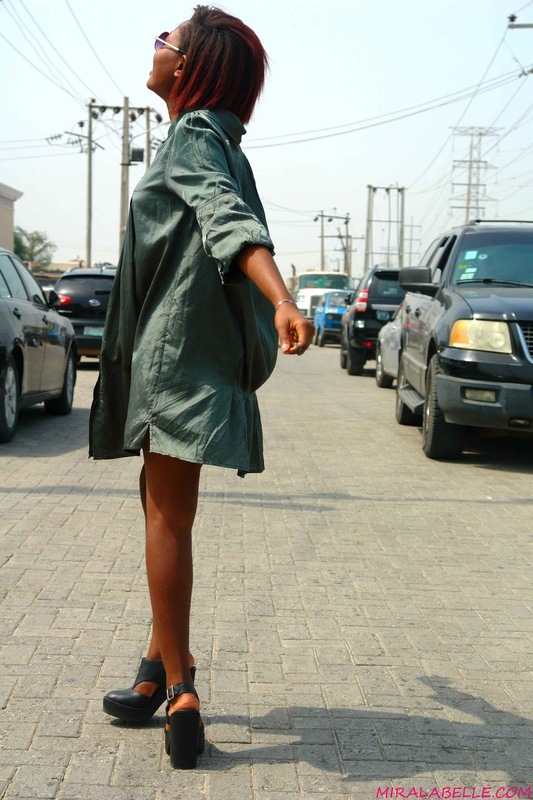 I love the silhouette of the shirt dress, especially the pleated detail at the back. Was sort of surprised when I read this- I think this is the shortest comment I've ever seen you make! 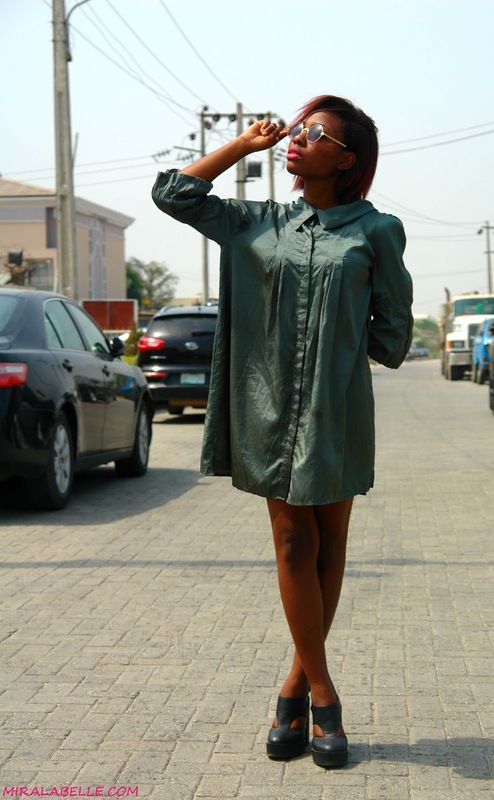 I love the shirt dress and the first post,it looks natural.